Happy Monday all! It's Krazy Klassy Kitchen Monday! I have one this week for those who love the kitchen without an island! 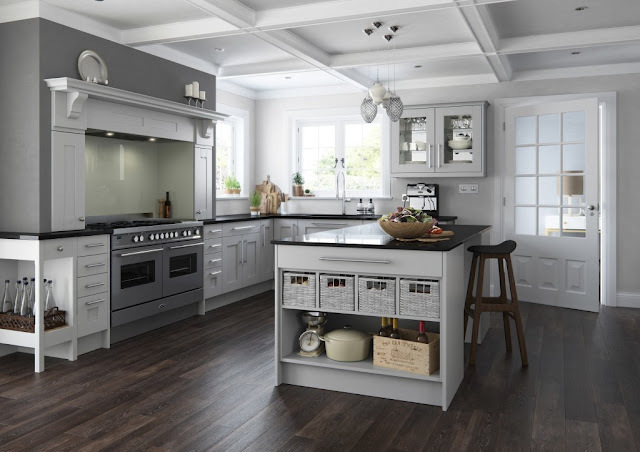 I do prefer not to have an island in the kitchen, so this kitchen is one I really like! Let's take a look at it. I I love the flooring in this kitchen, but cannot help but be distracted by the design in the adjacent room. The brick looking back splash is very nice and provides that feeling of warmth in a kitchen. There seems to be adequate counter space, but I'm not sure about adequate storage space. The black in the counter top is not one of my favorites with this kitchen. I feel a lighter colored counter would work well, and perhaps help add more light with reflection in this kitchen. Let me know your thoughts. Hello! Welcome to our Krazy Klassy Kitchen Monday. Let's take a look at the kitchen I found for today. With the Holiday season, this kitchen is one I believe is worthy of a family gathering. As I look at this picture I can imagine the individuals who got up early, sitting and sipping coffee while visiting with the cook, while other sit at the cafe table playing games or chatting. 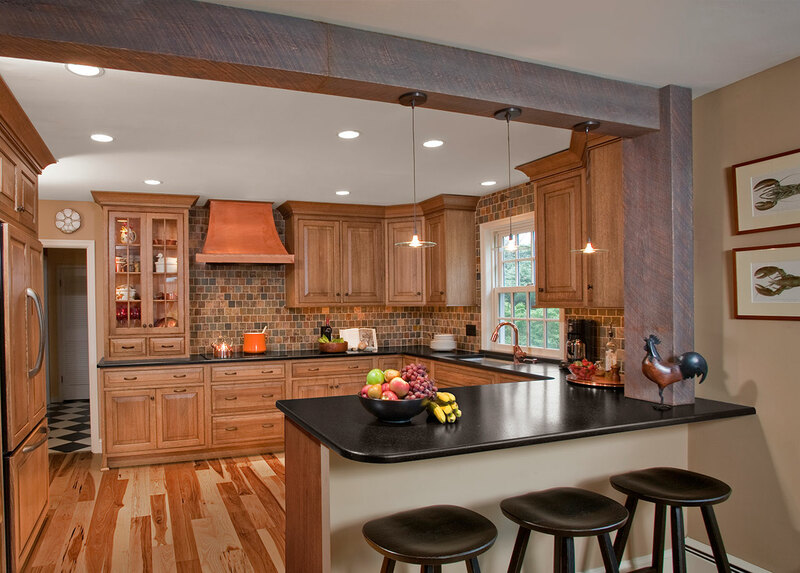 The deep warm color of the wood cabinets with the white ceiling and counter tops make a nice visual picture. The island is large and has lots of functional work space and storage. The flooring around the cabinet is very unique and I love the honey comb look to it. The stove area would certainly be able to keep up with a large family. I like that the counters are very clean and clear of appliances. This, I believe, is one of my favorite kitchens so far. Please let me know your thoughts. Krazy Klassy Kitchen Monday. Good morning! I really like this kitchen I found for today. It is extremely quaint. 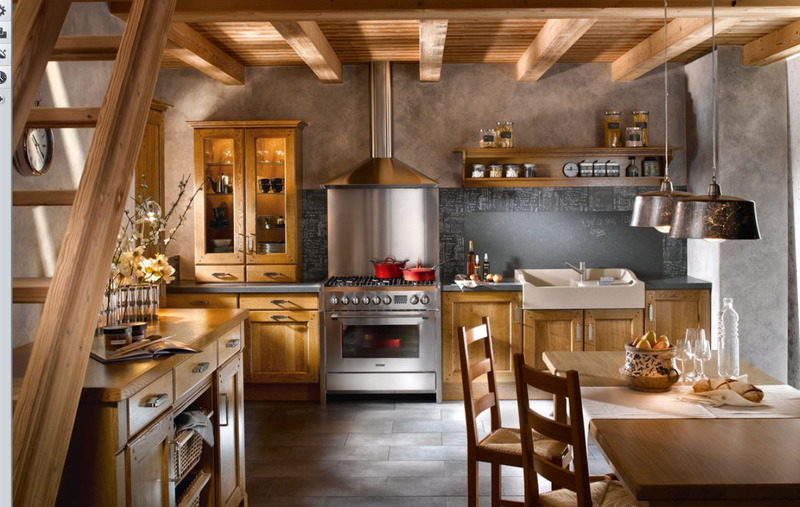 I love the warmth of the wood in this kitchen. One thing that I noticed is there seems to be very little counter space, which is an issue for me. I It is a smaller kitchen, which would work well for a couple that has down sized, or is just starting out. However, I would certainly want more counter space than what this picture is showing. The flooring goes well with the stove and color of the counter tops. I'm not a fan of the lighting in this kitchen either. Let me know your thoughts. Krazy Klassy Kitchen Monday, hope you all are well! This is what I've found for us today. At first I really liked this kitchen, however, the more I study the layout and design, there are a few things I don't care for. I I love the contrast between the rich color of the flooring and the white of the cabinets and light of the kitchen. The gray above the stove goes well with the stainless steel stove. I like the dark counter tops as well, it makes that contrast again of light/dark in this kitchen. The exhaust area above the stove, I truly like how that resembles a fireplace mantle. However, what bothers me about the stove area is there is no counter top space close to be used during cooking on the stove. I think of myself cooking and I always have things close to the stove when using the burners for cooking. Other than that, I like the lines and design of this kitchen, just not a fan of the area around the stove. Let me know your thoughts! Oh my, going on a cruise is something that I would love to do! This article is written about a kitchen tour that was granted on the Royal Caribbean's Symphony of the Seas. 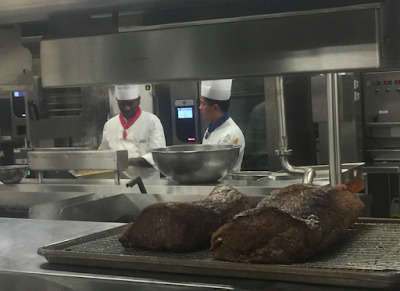 On this cruise ship there are three main galleys that serve the various restaurants that are on the ship, of which the busiest is Windjammer, which serves over 5,000 breakfasts with just as many lunches and around 2,000 dinners. A fascinating article about how the people on the ship are fed! If you would like to read more, click the link here. Hello All, we are wrapping up the month of November. The krazy, klassy kitchen I have found to look over today is certainly one that would I would love. 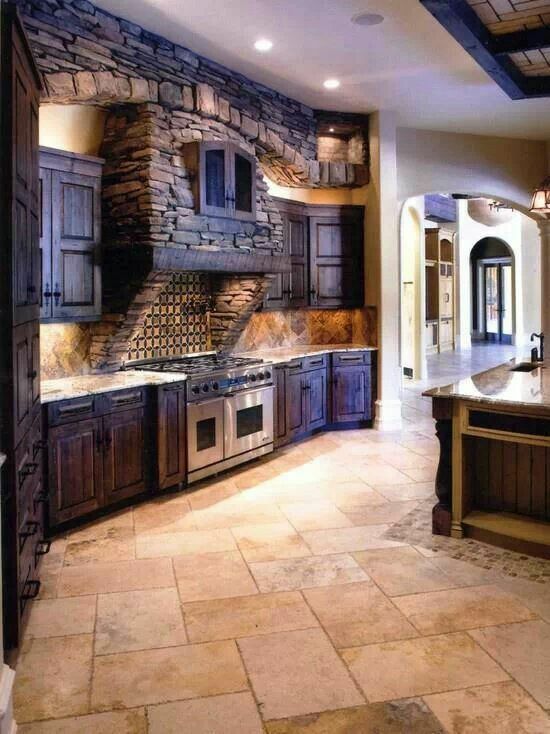 It makes me think of a kitchen that would be in a castle!! I just love it! Look at the area above the stove. I absolutely love the stone work that this section of the kitchen has. I wish there was more pictures of the rest of this kitchen so that we could see the overall area. I thik the lighter back splash and wall area sets off the dark wood nicely. I love stainless steel appliances as well. There is an island that we can see the corner of, but not the entire area. I am not a fan of the flooring in this kitchen, the color I like, but not the tile. Let me know your thoughts!! Her first tip certainly hits my nail on the head! So guilty of this myself! 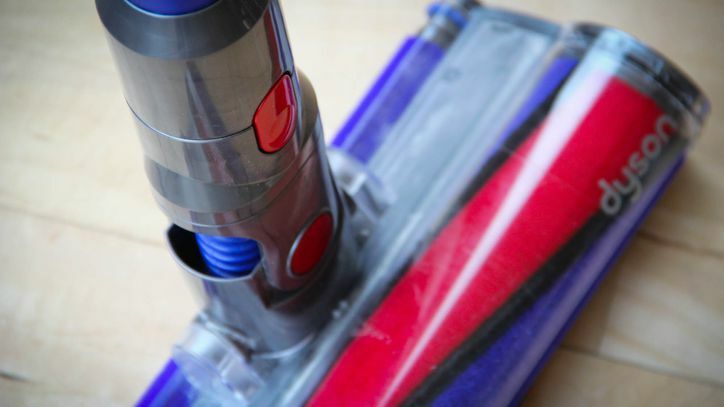 Her second tip is one that I have already addressed in my limited counter top space! The one about pots and pans is pretty basic, but surprisingly helpful. My mom lives with us now, and likes to do the dishes to help, but can't really lift and deal with my cast iron as it's too heavy. This tip works well. Let me know what you think! Happy Wednesday, and I thought this would be appropriate since tomorrow is Thanksgiving and Black Friday is the day after! I'm not sure if this is actually "news" but it did come up in my news search, so who am I to argue with the internet? This article shows several items that are going to be great buys on Black Friday, and what store you might be able to find them at. Several kitchen gadgets and even large appliances. Happy shopping to you all! 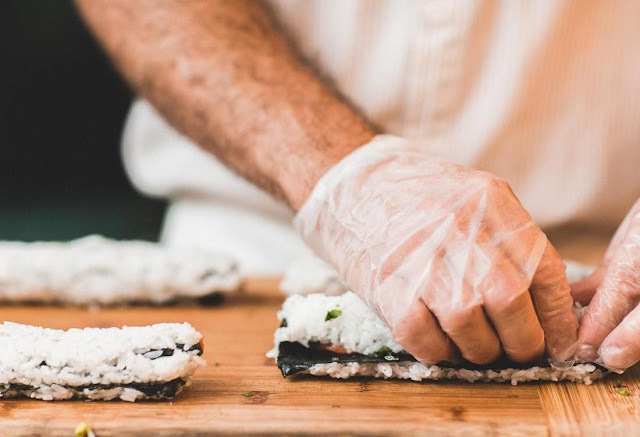 If you would like more information on this article, click the link here. It's Monday and time for our Krazy Klassy Kitchen review. Hello everyone, I have been out of pocket for quite some time, but I'm back and ready to get some feedback on this kitchen. Let's check out this kitchen. I went back through some of the kitchens I had posted and honestly, I apparently really like the "white" kitchens. I believe it has to do with the clean lines and simplicity of the white color. This kitchen is quite large, or seems to be. I like the counter top on the island as well. 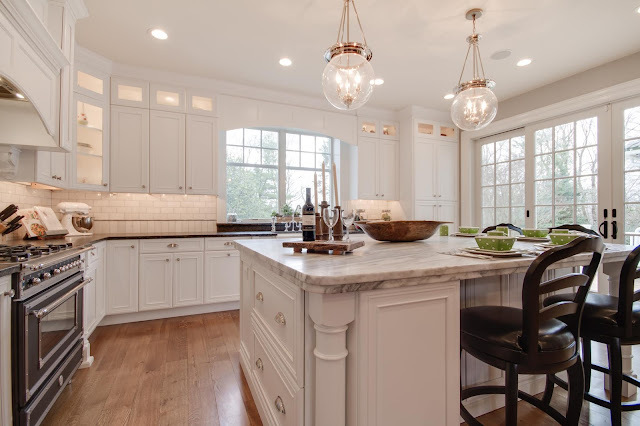 The french doors to outside provide some gorgeous light into this kitchen. Speaking of lights, I could do without the hanging lights over the island. I do like the recessed lighting under the counters providing light on the counters. I do like the wood flooring, but do not care for the color of the stove. Let me know your thoughts!!! Happy Fabulous Funnies Friday everyone! Some of the funnies I find, can't really be shared on a blog, but the one for today can be! 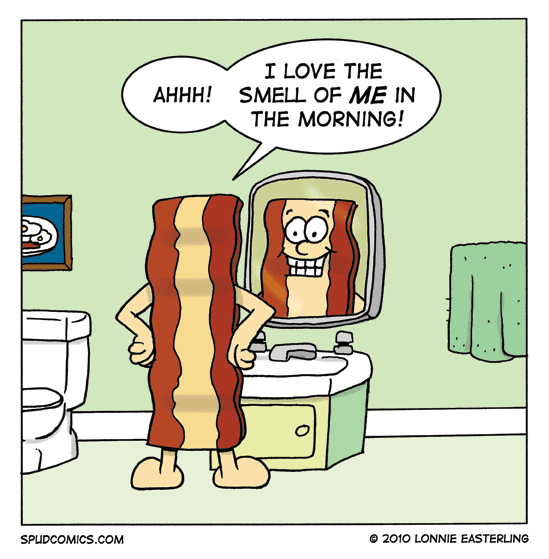 LOL, I also love the smell of bacon in the morning!!! Or anytime for that matter. I was hosting a breakfast at a local shelter and cooked 3 cookie sheets of bacon in the oven. Had just finished getting them all packed away to take to the shelter and my youngest came down all excited because he had woke up and smelled bacon. Poor kiddo, had to tell him it was for a shelter and he wasn't happy! Have a great Friday and a wonderful weekend all. Ghost Kitchens Are Changing the Restaurant Scene is our news article for this Wednesday. The title of the article certainly caught my eye. Ghost Kitchens? I had no idea what that meant. However, after reading the article, I found it very intriguing. There are lots of spaces in malls and other industrial areas that are under used. The article tells that these areas have become a "hot commodity" due to the rise of Ghost Kitchens. They are also known as virtual eateries. The article explains that these Ghost Kitchens are delivery only, no customer seating. Rather a very interesting idea, possibly saving money on staff and other items. If you would like to read the full article, just click here. Welcome to our Krazy Klassy Kitchen Monday. I have a lovely find for today. The kitchen is not as large as some of the ones we have found, however, it has great lines. This kitchen has a beautiful flooring. The cabinet wood is a little too dark for me, however the counter tops, lighting, and stainless steel appliances help off set the dark wood somewhat. There seems to be plenty of counter space and it has a great flow to it. I am not a fan of the bar stools they have chosen. 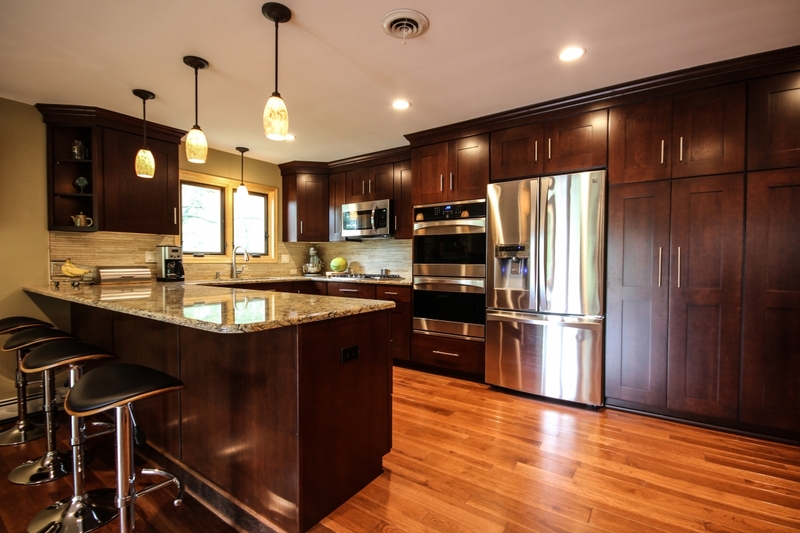 I believe a even lighter wood flooring would have helped offset the darkness of the cabinets. All in all, it is a very nice kitchen, with plenty of cupboard space as well. Let me know your thoughts! Happy Friday! We've made it through another week! My family is awful with "puns" so this funny really brought back some memories! I actually still have one of these and use it quite often. But, you have to admit, it is pretty cheesy. LOL. Have a blessed and safe weekend! See you all back here on Monday! Happy News Wednesday everyone. 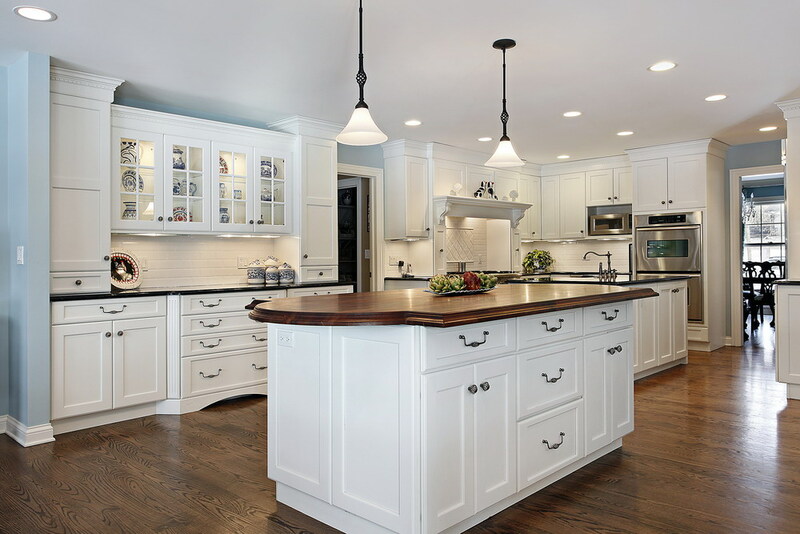 The news article for today is Why Messy Kitchens Are the Newest Custom Home Trend. When I first read the title all I could think of is what would my mother say? However, after reading, it's not what you would first think. This is what is meant by a "Messy Kitchen" it is an area that is designed to be an extension of the kitchen. This area can be the work area and be "messy" without being seen by guests. This would be the prep kitchen poses a very interesting idea. If you want to read more about this article yourself, you can click the link here. It's Monday and time for our Krazy Klassy Kitchen Monday!!! Hello everyone! It's been a few months since I was at this. Life does tend to get in the way sometimes! I do hope everyone is doing great and ready to see a gorgeous kitchen? This one that I have found for our viewing pleasure today. This is a lovely kitchen. I do like the white cabinets, they are an excellent contrast to the wood counter top of the island, which matches the wood flooring nicely. 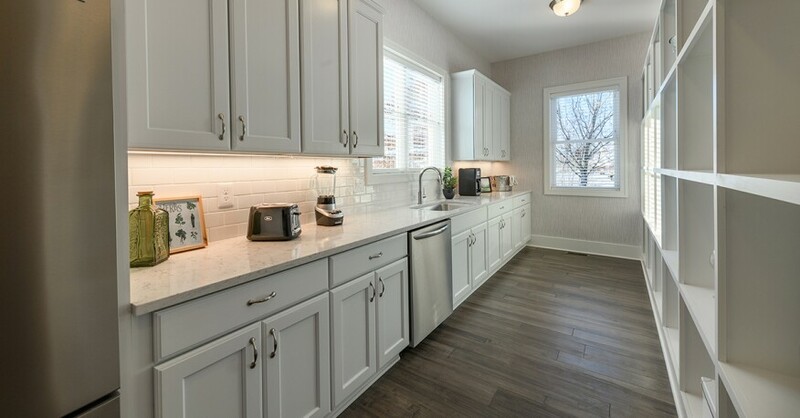 It seems like this kitchen has plenty of storage space as well as counter space. This picture doesn't show the area back by the stoves. It seems like there might be another island and the flow of the kitchen seems broke up. Let me know your thoughts!